Spacenotes: Create the perfect board meeting, incentive retreat, or team building activity with our intimate meeting spaces. Additional components can be added to create the perfect meeting. Dogs are welcome at Sea Ranch Lodge! Close to the Bay Area, but worlds away, Sea Ranch Lodge is a natural escape on the Sonoma Coast. 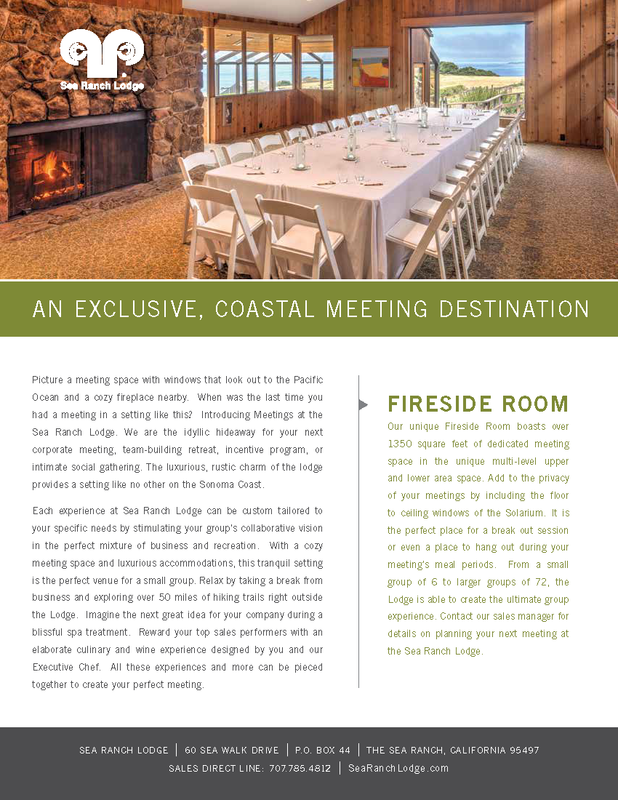 Inviting accommodations, recently renovated, feature stunning Pacific views; most have fireplaces. Acclaimed Black Point Grill offers delectable fare with seasonal menus and local ingredients, enhanced by an award-winning regional wine list and ocean-view setting. ‘Naturally Beautiful Weddings’ are extraordinary. Meetings facilities accommodate up to 72 persons. Hiking trails are steps away. Dogs are welcome. Sea Ranch Lodge is a place to unwind, relax and be alone, together. Share slower, simpler pleasures. Enjoy natural serenity, unsurpassed. Amenities: Free Parking, Free Wi-Fi, Full Service Restaurant, Bar and Lounge, Dog Friendly, Award-Winning Wine Selection, Weddings, Meetings, Panoramic Views Full Catering on Site. Meeting Space for up to 72. Weddings up to 72 Indoors, 125 Outdoors. 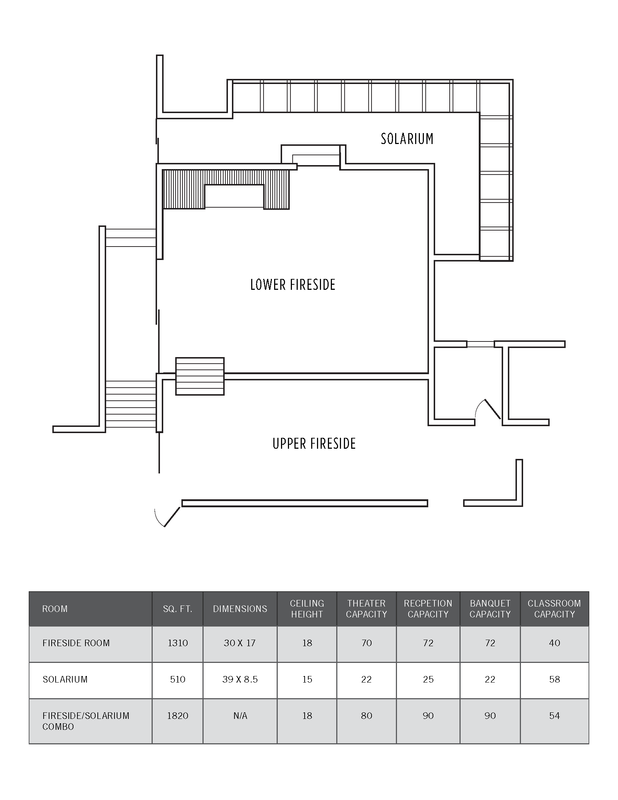 Total Indoor Capacity (sq. ft.): 1350 sq. ft.